The jewel in the crown of the European Poker Tour glistened to a climax this past week. The EPT Grand Final in Madrid, Spain saw the world’s elite gathering for one of the most prestigious tournaments on the circuit. For many pros this was their last stop before they relax and re-gather their strength for the WSOP. A total of 686 players turned out for the €10,000 Main Event, with all the champions from this past season awarded free entry. The tournament began to flurry of chip shuffling and card tossing. It would be days before a definitive final table could be reached. The eight remaining players settled down to compete for the championship bracelet, as poker fans around the world huddled around the TV sets to see the climax of the event broadcast via a live video streaming. The final table included a couple of outstanding established players, alongside plenty of unknown faces. Anyone who has attained the SuperNova Elite ranking on PokerStars has to be a formidable opponent and Andrew Li was just that. Sadly, azntracker, as he is known online, was the first to be eliminated from the final table. Team PokerStars Alex Gomes also made it to the last eight. He was in the unique position of shooting for poker’s triple crown. Gomes already has a WSOP bracelet and WPT title to his name. Adding an EPT title would have allowed him to join the likes of Gavin Griffin and Roland de Wolfe in that exclusive club. Sadly he too faltered before the final hurdle, alongside the last PokerStars Pro left standing, Juan Maceiras. The heads up battle was fought between Ivan Freitez from Venezuala and Torsten Brinkmann of Germany. The contest was hard fought, but eventually the duo got their chips all-in with Freitez holding 10-9 and Brinkmann ahead with A-K. The best hand failed to hold up, as the board ran out 9-5-2-6-8. That left Ivan to collect the €1.5 million first place prize, the bracelet, and the adulation of the poker community. PartyPoker is known for their great live tournament promotions, and this article will describe the WPT Spanish Championship. The site has been running satellites to this event since March 21st, and they will keep going until the 8th of May. This leaves you less than two weeks to claim a package of your own! The Spanish Championship will be in Casino Barcelona between May 25th and May 29th. You can participate in the event if you are at least 18 years old, and the buy-in is €3,200+€300 (which is roughly $4,900 US). 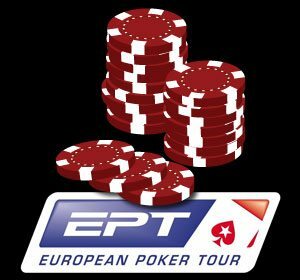 PartyPoker is one of the best Euro poker sites, so it’s to be expected that they want to send their players to this event. If you can win one of the $8k packages up for grabs, you will receive your Main Event buy-in, spending money, and 6 nights in a hotel. If you are interested in one of these packages (and who isn’t), your schedule will need to accommodate at least one Sunday WPT Barcelona Satellite. One out of every twenty people win an $8k package, and at least one person will win a package every week. The buy-in is $428. You can get in to the WPT qualifier without spending a penny if you are cool with winning a number of sub qualifiers. There is a daily WPT Barcelona Freeroll that you can play, and the top 25 participants receive entries to a $2 World Poker Tour Sub Qualifier. This Sub Qualifier will award a WPT Barcelona Satellite Qualifier ticket for every $45 in the prize pool. Your chances improve to 10% in the Satellite Qualifier when it comes to winning a WPT Barcelona Satellite seat. If you don’t want to play such a big buy-in, you will be happy to know that there are plenty of side events to play. On May 23rd you can play a No Limit freeze-out for €800 + €80, and you can play a PL Holdem/Omaha tournament the very next day. If Pot Limit Omaha is your best game, you can skip the Hold’em completely by playing the PLO tournament on the 28th. You can see that WPT Barcelona was made to please both Holdem and Omaha players alike.